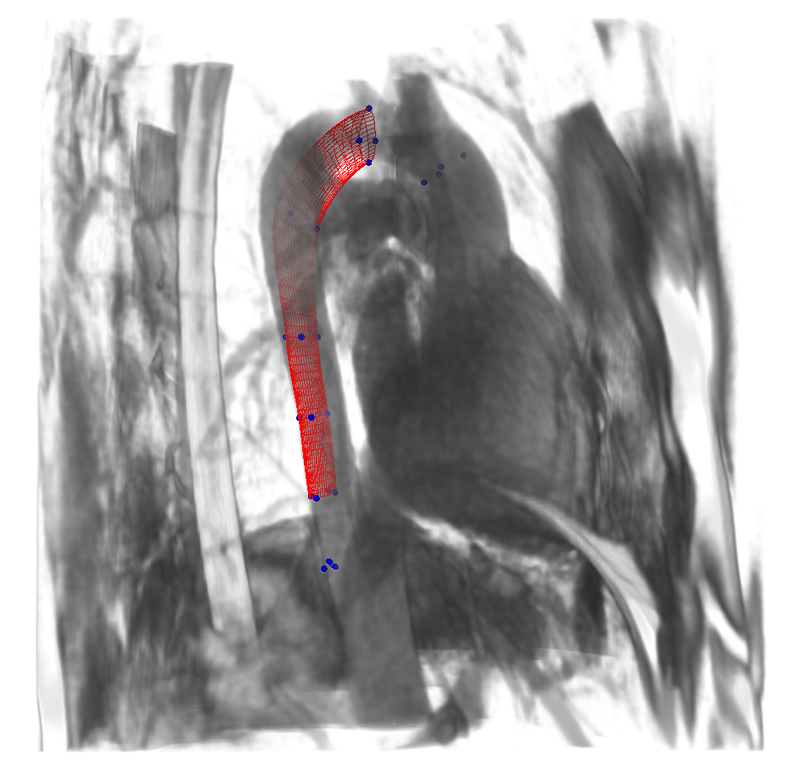 In medical imaging, 3D data nowadays are very common. Therefore, 3D data analysis is an active field of research. Vascular structures such as arteries or veins are easy to see in images but very hard to analyse properly. 3D segmentation of such structures can be useful to make blood flow simulations, volume measurements or to detect congenital anomaly. But it may take a large amount of time,and can't be made for every patient manually. 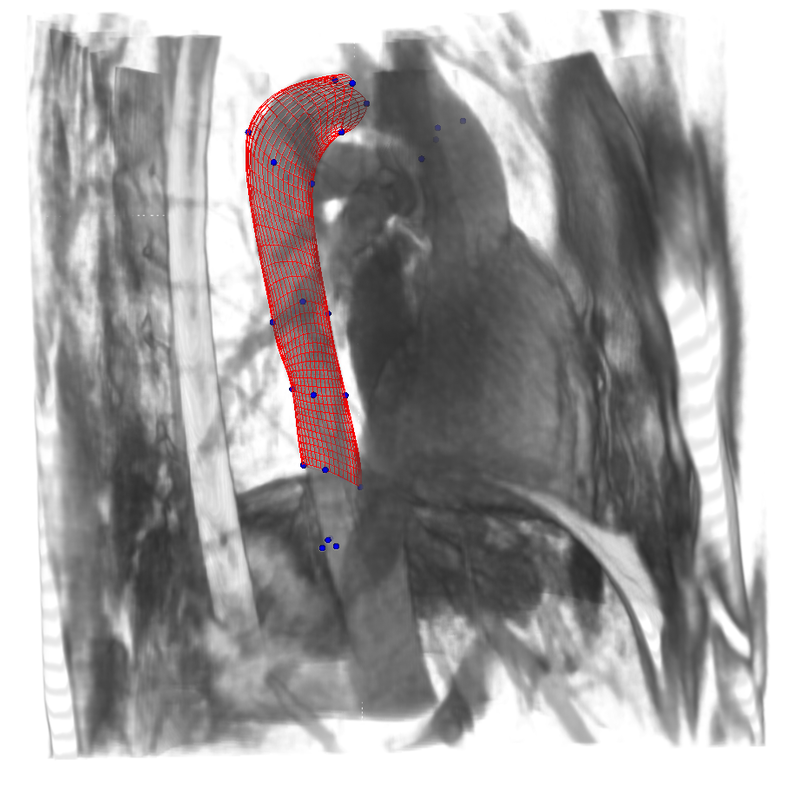 To address this issue, we have developed a semi-automatic tool to segment a given vascular structure with the least possible human intervention. This software use a 3D cylindrical spline snake, which is a cylinder surface that will automatically segment the wanted structure. In fig. 1 you can see the snake at initialization and in fig. 2 the snake after optimization. In order to easily interact with those snakes we developed 3D user interaction functionalities that are embedded in the plugin.